BOGO offer valid for up to $1,037 retail value of same size product or smaller. Limited time, while supplies last. Image may vary from actual product. Place your order based on product description and specification. 3M™ Hookit™ Film Disc 375L delivers outstanding tear resistance, flexibility, and a consistent, uniform finish on a variety of substrates. Premium aluminum oxide abrasive grain offers a fast cut-rate and extended product life for greater productivity. 3Mâ„¢ Hookitâ„¢ Film Disc 375L delivers outstanding tear resistance, flexibility, and a consistent, uniform finish on a variety of substrates. Premium aluminum oxide abrasive grain offers a fast cut-rate and extended product life for greater productivity. Durable film backing provides tear resistance while the load-resistant coating provides greater efficiency and longer product life. 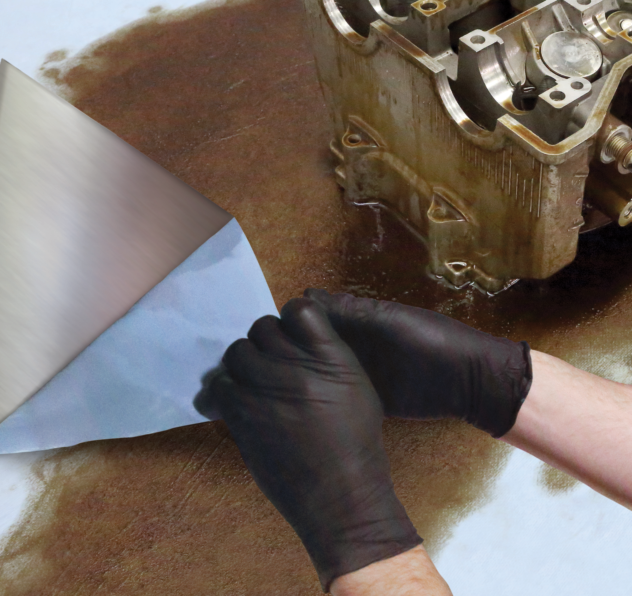 Use on plastic, fiberglass, wood, metal, solid-surface composites. Short Description 3Mâ„¢ Hookitâ„¢ Film Disc 375L delivers outstanding tear resistance, flexibility, and a consistent, uniform finish on a variety of substrates. 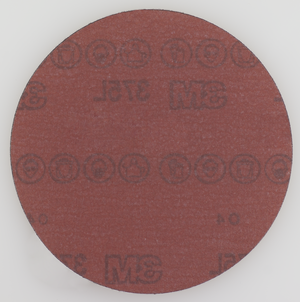 Premium aluminum oxide abrasive grain offers a fast cut-rate and extended product life for greater productivity. As a 3M Premier Service Industrial Distributor, we receive notice of the newest 3M products -- often before the rest of the market -- and enjoy special promotions and unique offers. With extra lead time and direct access to the latest and greatest in 3M products and pricing, we are poised to help you keep your business on the cutting edge. We have a dedicated 3M Certified Specialist on our team, ready to provide personalized solutions for even your toughest applications. Our Certified Specialist receives specialized product training at 3M headquarters and works closely with 3M’s local product specialists. Our entire sales staff has access to online and field-based training as well as enhanced product information. These resources give us an understanding of 3M product solutions you won’t find anywhere else. Our onsite expert works to understand your business’s priorities and processes, so you get the solutions you need, when you need them. 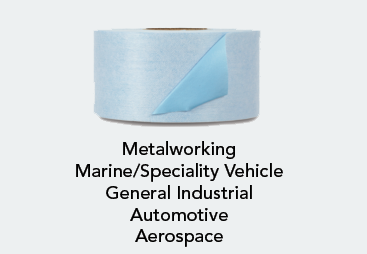 In order to partner with 3M as a Premier Service Distributor, Pack-n-Tape has demonstrated our company’s strength and our commitment to providing ongoing support to our customers. We are dedicated to bringing you value for the long haul. We ship within the lower 48 states. When product is available, ground orders typically ship after a 3 business day warehouse processing time. Air orders typically ship same day if orders are entered by 11:00am Mountain Standard Time. If you are shipping to a new address, please allow 1 day extra for ship-to account setup. These are estimates and could change if special circumstances prevail. Customer must notify us within 14 days of receiving product if there is a shipping error. Be sure to pay close attention to your shipping address information on the checkout page. The customer is responsible for providing correct shipping address information. If an order is shipped to an incorrect address provided by the customer, the customer takes full responsibility to retrieve the package or will be responsible for the full cost of the items shipped. All products on this site are sold for profit. If errors are found in our items/case or pricing, Pack-n-Tape reserves the right to honor the price or correct the error. Returns require a Return Merchandise Authorization (RMA) number. Returns cannot be processed without an RMA number. When returning products, we strongly recommend the use of a carrier that can track packages. You also assume responsibility for insuring the returned item. Items must be returned in "as new" condition in the original packaging and have all accessories, blank warranty cards, and user’s manuals. A minimum restocking fee of 25% or more, depending on the item, manufacturer policies, and circumstances. Return shipping is at your expense. If any of the product has been used and not in resalable as new condition, we cannot issue you a refund. Made to order items are NOT returnable. Pack-n-Tape must be notified within 14 days of receiving material for return authorization. Only stock items are returnable depending on manufacturers policy. All products are sold with their respective manufacturer’s warranties. Please note that warranty periods and services vary by manufacturer and product. NOTE: If a customer ships product outside the USA all warranties are void and no returns are accepted regardless of circumstances. If a product is suspect of being defective, only a portion of the suspected product may be returned until the factory completes required testing to determine if the product is within specification. Pack-n-Tape will pay for the shipping charges but it is the responsibility of the client to package the product in a suitable fashion. If the product is found to be defective then arrangements will be made to return the product. After the product is checked in and inspected a credit will be issued to the card used to purchase it. Please email us at customerservice@pack-n-tape.com and we will call or email you with instructions in 24-48 hours. Once a customer completes the checkout procedure and the order is processed it can't be cancelled. At this point the customer must follow our return policy. If a customer refuses shipment of an order placed online, no returns will be accepted. If the customer changes their mind about an order they must go through the return policy. Be sure to pay close attention to your shipping address information on the shopping cart page. The customer is responsible for providing correct shipping address information. If an order is shipped to an incorrect address provided by the customer, the customer takes full responsibility to retrieve the package or will be responsible for the full cost of the items shipped. © 2012 - 2019 Pack-n-Tape. All rights reserved.